Many full-time jobs are rewarding. However, having a side business can be more meaningful as one gets extra income to boost his or her salary. Side jobs offer opportunities to think the extra mile. For such business ideas to go through, extra time and a little sacrifice are needed. Having a side business implies a good lifestyle because there is no outside pressure. One becomes his own boss. There are many home business ideas that already exist so coming up with the right idea is not simple as many people think. There are strategies and ideas that everyone needs to follow. 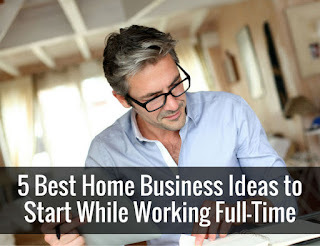 Let us check on some of the best home business ideas in the market today. Online course educating is one of the best home business ideas that one can possibly think of. If you happen to be an expert in regards to a certain tool or topic, then you should let the online audience access your expertise. Launching this business will cost the business owner only a few hundred dollars. He or she will then decide if the idea is profitable and if it will give more profit than loss. By doing this, one will discover that he has set a clear framework to launch an online business program. People earn easily through online course educating. It only takes a little sacrifice at the beginning to be successful. Blogging is a common way to earn money for many people. This practice is amongst best home business ideas in the market. It is a great idea of earning extra money apart from your full-time job. Writing gives one the ability to build himself in a certain industry. Blogging involves updating or advertising online courses, writing sponsored contents, eBooks, and personalized consulting services. Online contents should be simple, clear, easily understood and grammatically correct. Blogging is also a way of building a strong relationship with online readers. Always choose a simple topic and work on your content. There are many jobs in graphic designing that are available through online means. This kind of jobs is suitable for people with high skills of creating high-quality design documents. If you want to try this you need to have a well-trained background in graphic design. Some of the tools needed in this field are Visme, Adobe creative software (photoshop or adobe page-maker) and Canvas. The use of these software requires commitment and desire to learn and earn. One can teach himself or herself to use them so there would be no cost but one’s time and patience. Amazon is a popular website that sells goods through online means. Users can buy goods at a low price and then resell them. Of course, before doing so, they have to check the quality of the products and think of a proper way to introduce them to the buyers. It takes some good communication skills to have success in this kind of business so amateurs should think twice before starting an Amazon reselling kind of business. Web developers are a very important part of today’s competitive marketplace. Recognizable brands are working to distinguish themselves from others. This is where web designing comes in. Web developers can create interesting websites for business owners. By having a good website, brands can distinguish themselves from the rest. Skill Crush and General Assembly are only a few of the programs that can teach people in web designing. 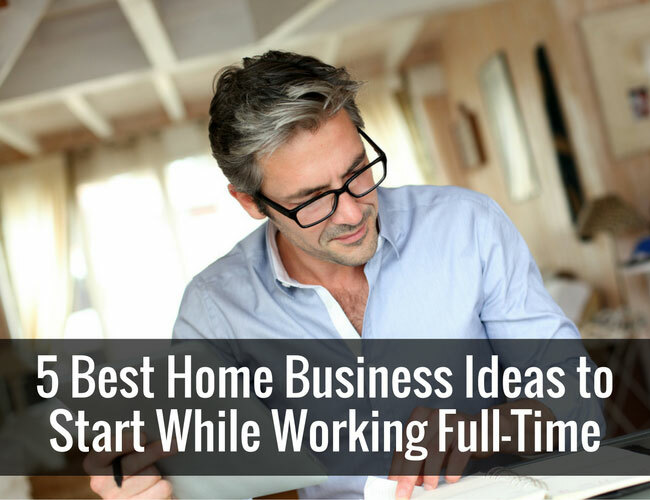 These are five of the best home business ideas that people who want to earn extra can look at. These jobs help boost one’s salary and can improve one’s financial life. They need little commitment, effort, and sacrifice so people can get successful easy enough. As it can be seen, technology links them all. Internet and computers make our lives easier so make sure to meet your dreams through online means. Adalynn Evans is a freelance web developer. She has a passion for problem-solving and she appreciates to be a curious and inquisitive person. Adalynn thinks that understanding the users perspective is a huge part of her job. That is why she writes for loginwizard.com, where she gives the end user supplementary information about the process of login into a website. It's very important to focus on your work and jobs. If you maintain its then it will bery good for you. Here’s an apt pictorial I found online that sums up tips to get focused and immersed at work.